As students graduate from seminary, there are plenty of options for them to pursue in life. Some may consider going on missions, starting jobs, or many other worthwhile pursuits. One worthwhile pursuit that some students may consider is attending institute. 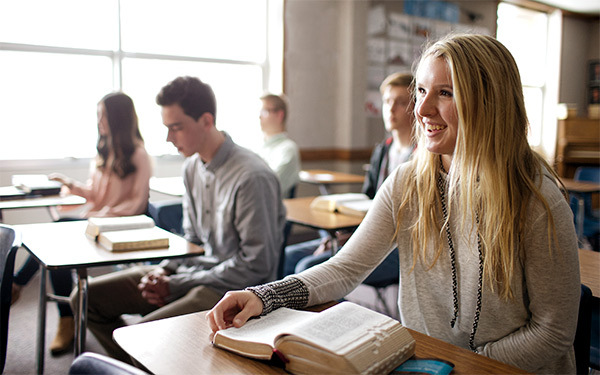 High school seniors can easily register for institute right in the mySeminary app. Seniors can access myInstitute from their mySeminary site. They must have an LDS account to access the mySeminary and myInstitute apps and sites. At the top of the app’s homepage is a box with the options to find an institute class through myInstitute or the Institute Class Locator. When seniors first visit myInstitute, they can set a preferred institute. This allows them to see the classes offered by their preferred institute. The institute is not notified until the senior registers for a class. After they have registered with an institute, seniors can register for classes through the myInstitute app or at myinstitute.lds.org. They can then instantly register for the classes they wish to take from their preferred institute.